There's nothing like a classic that's been redone and modernized. That's exactly what this Pixie Market top has achieved. 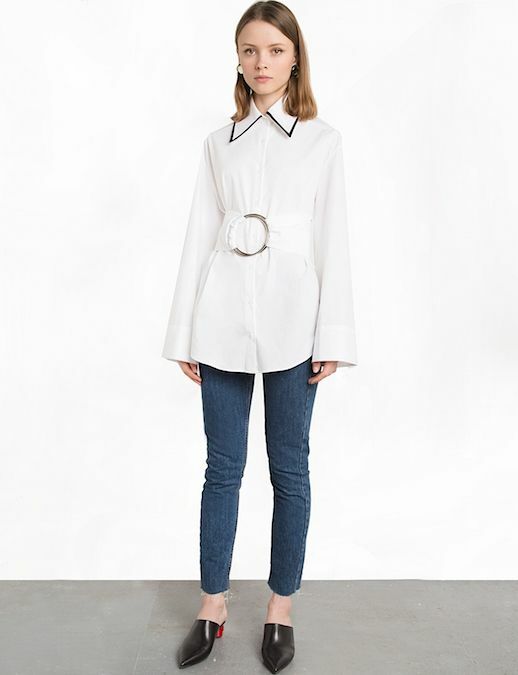 It's your staple button down shirt shape but with a waist cinched by an oversized ring-shaped belt. It's the best of both worlds AND it's affordable.